Well, Dear Readers, it’s the new year. Or is it? 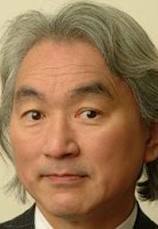 Let’s listen in on the Science Channel and see what Michio (Mickey) Kaku, a theoretical physicist with the best hair in all of science show business, tells us about time. Well, if you want to leave now, Dear Readers, I wouldn’t blame you at all. Until next time . . . I love you. Holy crow, this Mickey guy sounds like a bit of a wanker. Can I say wanker in here? Wanker. Dude, I think I am going to shed my journal reading and starting listening to you for my science fix. You certainly don’t put me to sleep. I am still calling you dude by the way. I have not forgotten. Science journal reading! That’s a clue as to what your PHD is in. Am I right? Is this “dude” getting warmer? (warm is this thing we have here in California, but you wouldn’t know anything about that, sorry, I keep forgetting you’re from the North Pole). Crike yeah. All right, so it’s in engineering, of the environmental persuasion. Hey, don’t knock the North Pole. There’s nothing like chewing on some whale fat huddled in a cave with several hairy men. What? A PHD in environmental engineering, you say? Or am I extrapolating wrong? Well just answer me this. Do you know Al Gore. Not the hairy man who hangs out in your cave — the famous one. (Or maybe they are one in the same). I also now have the odd desire to be a grunion. Because mating on a beach is super cool. Hey! That’s exactly what Michio said! Hey, I read it to the end. You had me after in the yaks or in the bushes. Hahaha…! Awww…now that brings tears of both laughter and sadness to me. Linda Vernon – banned from TV studio audiences in fifty states. Rather like a card-counter gets banned from a casino, right…? Well hello Mr. Roadwax. Nice to see you here! Banned in all 50 states! Uh oh. If you need me I’ll be out buying Eskimo boots in anticipation of my move to Canada! What will all the provinces they have — I should be okay for a while anyway.